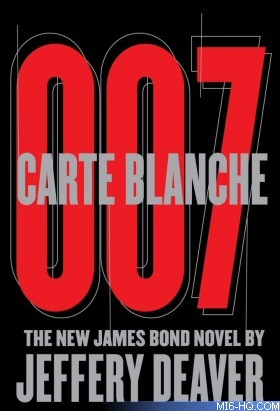 The mass market paperback edition of the new James Bond continuation novel 'Carte Blanche' by Jeffery Deaver will be released in the USA on 17th April 2012 and is now available to pre-order. It will be just under a year since its debut in hardback from publisher Simon & Schuster. Retailing for $9.99, the paperback will run to 496 pages and will be released under the imprint Pocket Star. Click here to pre-order now from Amazon.com. Click here for more news about James Bond book releases in 2012, the 50th anniversary of the 007 film series.